Make Connections through Video Conferencing Technology. In today’s fast-paced world and competing global marketplace, video conferencing (VTC) technology is one of the most effective forces driving our communication systems. With the benefit of our fully customizable video teleconferencing systems, you can easily make connections around the globe, simply at the click of a button. From the corporate boardroom to the classroom, our clients are making successful connections through the use of VTC technology. With high-definition image quality and superior audio performance, VTC technology provides an open range of communication and presentation possibilities. Whether looking for the simplicity of a no-frills system, or seeking more comprehensive technology for advanced multi-point connections, we can help you achieve a powerful, lasting impact. Transform your meetings with the SMART Room SystemTM for Microsoft© Lync©. An integrated, turn-key hardware solution, it combines SMART’s industry leading interactive displays with Microsoft© Lync© to enable rich audio, video and data collaboration. Meeting participants can contribute ideas in more creative ways and collaborate in a more inspired way – all within the Microsoft© Lync© software that they already know. Enhance your investment in Microsoft© Lync© by expanding it into the meeting room. You won’t need to invest in conflicting infrastructure and your users will be able to work within a familiar user interface. And with three different sizes available, you can tailor your solution to each room. Evolve from traditional videoconferencing to fully immersive collaborative meetings by enabling comprehensive data interaction. Participants can be seen and heard, but are also able interact with the content being discussed. This ensures that they stay engaged and are able to fully contribute to the conversation. The familiar, inviting design of SMART’s interactive displays encourages use by making interaction with digital content a natural experience. You can use your finger to interact with content, pick up a pen and write over it in your choice of color and use your palm to erase. 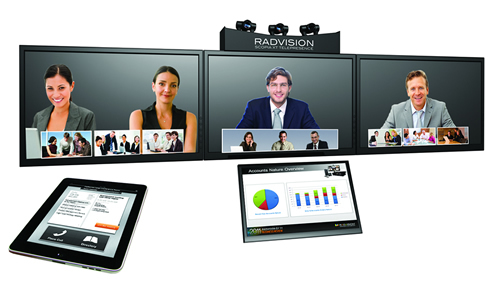 The new SCOPIA XT5000 is RADVISION’s flagship product in the SCOPIA series of state-of-the-art video conferencing systems. The SCOPIA XT5000 is the only system available to incorporate dual 1080p/60fps live video and content, HD audio, H.264 High Profile, Scalable Video Coding Technology (SVC), and multi-party calling, making it the most advanced video conferencing system available today in its class. It is an all-in-one video conferencing solution that offers a highly intuitive user interface and a sleek and elegant design. The SCOPIA XT5000 sets the standard for an exceptional conferencing experience. Unique simultaneous HD 1080p/60fps for live video and content and CD-quality, 20 kHz audio deliver an outstanding experience. H.264 High Profile provides ultimate bandwidth efficiency and H.264 Scalable Video Coding (SVC) offers high network error resiliency. The XT5000 delivers unequalled performance in real-world network conditions. The SCOPIA XT5000 harnesses unparalleled power for the most demanding conferencing applications. Two full 1080p/60fps video channels, H.264 High Profile and SVC, an embedded 9-way multi-party MCU*, iPad Multi-Touch control – all combine to make the XT5000 the most powerful conferencing system ever created in its class. XT5000 operation is designed for the end user instead of IT and engineering departments. It leverages design principles of RADVISION’s award-winning iPad and iPhone applications and enables instant, intuitive and effective control – no training required. For an even better experience, the XT5000 is enabled for Multi-Touch control via the Apple iPad. The XT5000’s refinement and polish go beyond the user experience to the sleek and elegant hardware design of the system. The XT5000 is a natural fit for today’s businesses, not only for its ease of use, but also its modern design that complements your conference room. Finally a powerful business system you can put on display and not hide in the closet. The XT5000 is also offered as a unique all-in-one video conferencing solution combining the XT5000’s room system capabilities with embedded 9-way multi-party conferencing*, SCOPIA Desktop conferencing, and firewall traversal into an all-in-one solution. Additionally, participants can utilize SCOPIA Mobile and join video conferences via the latest mobile devices. The new SCOPIA XT4200 offers outstanding value and cost-effective HD video communications with many features that are either unavailable or costly upgrades in other vendor offerings. The SCOPIA XT4200 is well equipped and includes dual 720p/60fps live video and content, HD audio, H.264 High Profile and Scalable Video Coding (SVC), dual display support and a wide angle PTZ camera. The user interface is designed for simplicity along with optional Multi-Touch control via the Apple iPad for enhanced capabilities. The SCOPIA XT4200 delivers efficient HD performance featuring H.264 High Profile for bandwidth efficiency and H.264 SVC for high quality images, even in unpredictable network environments. The XT4200 also offers dual 720p/60fps live HD video and HD content, HD audio and optional iPad Multi-Touch control. The SCOPIA XT4200 is well-equipped and offers outstanding value including many features that are either unavailable or costly upgrades in other vendor offerings. Dual 720p/60fps HD video, H.264 High Profile, H.264 SVC, dual display support, wide angle PTZ camera – are all included for cost-effective video communications deployment. The SCOPIA XT4200 user interface is designed to deliver a simplified end-user experience. It leverages design principles of RADVISION’s award-winning iPad and iPhone applications and enables instant, intuitive and effective control – no training required. For an enhanced user experience, the XT4200 is available with optional Multi-Touch control via the Apple iPad. The SCOPIA XT4200’s refinement and polish go beyond the user experience to the sleek and elegant hardware design of the system. The XT4200 is a natural fit for today’s businesses, not only for its ease of use, but also its modern design that complements a conference room. Finally a powerful business system to put on display and not hide in the closet. 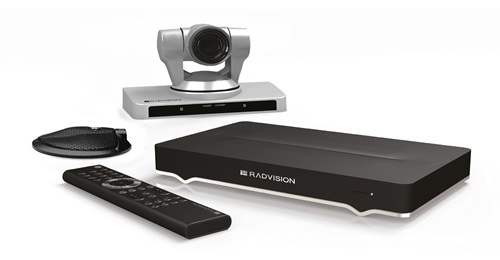 The SCOPIA XT4200 room system complements RADVISION’s total video conferencing solution including the VC240 executive HD desktop system, SCOPIA Desktop and SCOPIA Mobile for users on-the-go, SCOPIA Elite for multi-party communications and SCOPIA iVIEW Management Suite. SCOPIA solutions also offer integration with UC solutions from IBM, Microsoft and others. The SCOPIA XT1200 delivers the perfect blend of value and a high quality experience, making it stand out amongst the competition. The SCOPIA XT1200 is a high-end system without a high-end price tag. The XT1200 supports dual 1080p/30fps live video and content. The system delivers 20 kHz CD-quality audio and includes a beam forming digital microphone pod to isolate the speaker from the noise. An optional, embedded MCU with support for continuous presence with up to 9 participants is available along with optional iPad Multi-Touch control for a highly intuitive user interface. The SCOPIA XT1200 delivers dual full HD (1080p/30fps) video streams as standard so you don’t have to compromise on video performance. 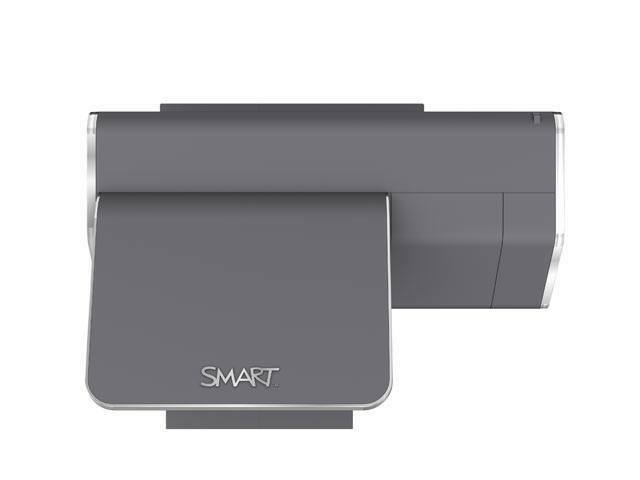 The included high end PTZ camera supports 10x optical zoom and wide angle capability so you can see every detail as well as an entire group in the conference room. Even higher levels of performance are available with the XT1200’s 720p/60fps camera capability. The SCOPIA XT1200 3-way microphone pod uses beam forming technology to put the focus on the speaker while isolating background noise. 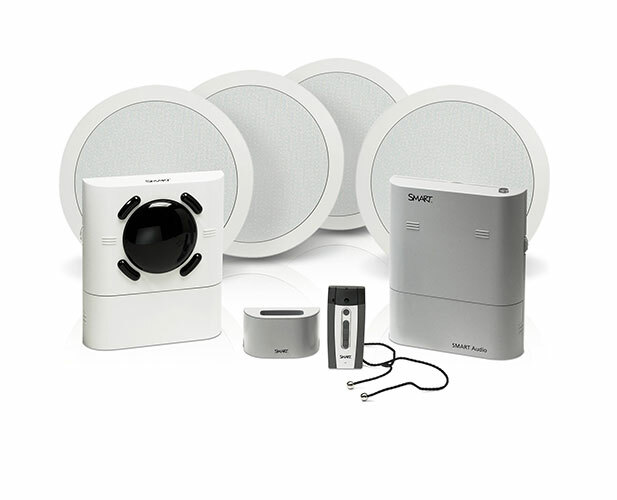 Two microphone pods can also be cascaded to cover larger rooms. CD-quality, 20 kHz audio is used to ensure high clarity audio transmission. Remote participants can view your shared data as if they are in the same room with you in all its native detail. Share presentations, videos and other multimedia content at full HD 1080p 30fps. Dual display capability enables simultaneous viewing of meeting participants and data enabling users to fully engage in meetings. RADVISION’s multi-party expertise is embedded in the SCOPIA XT1200. HD continuous presence meetings with up to 9 participants are more affordable than ever utilizing the largest capacity embedded MCU available in the industry today. Leverage RADVISION’s SCOPIA Control, a highly intuitive, Apple iPad Multi-Touch application, which virtually eliminates the learning curve for participating in video conferences. First-time users can initiate calls, control their systems and moderate meetings without any training or introduction. Since the iPad is wireless, it also eliminates the conference room clutter provided with other control devices. The SCOPIA XT Telepresence Platform delivers an immersive telepresence experience customizable to the unique requirements of individual rooms and customer needs. Installed and configured by RADVISION’s worldwide network of channel partners, the SCOPIA XT Telepresence Platform provides a cost-effective and highly flexible approach. With a RADVISION partner, customers can define the installation and furnishings that best fit within their conference room and budgets to deliver a distinct customized telepresence experience. Replicate the feeling of meeting in person. 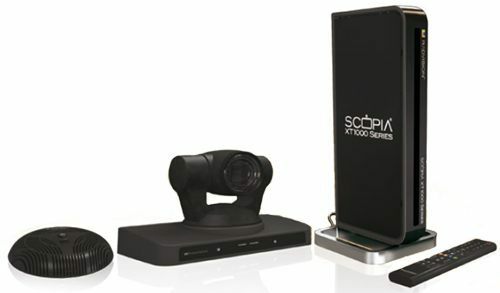 The SCOPIA XT Telepresence Platform incorporates state of-the-art technology with support for full HD 1080p video, 48 kHz full band audio and 1080p 30fps PC data sharing for an immersive life-like experience. Delivers an immersive telepresence experience tailored to the unique requirements of individual rooms and customer needs. Installed and configured by our worldwide network of channel partners, the Platform provides a cost-effective and flexible telepresence deployment approach with optimal quality in all conditions ensured through powerful calibration and setup tools. The SCOPIA XT Telepresence Platform combined with the SCOPIA Elite MCU delivers unmatched interoperability with telepresence systems from Cisco®/Tandberg®, Logitech®/LifeSize® and Polycom® as well as with any standards-based video conferencing system for full video, audio and H.239 data collaboration. 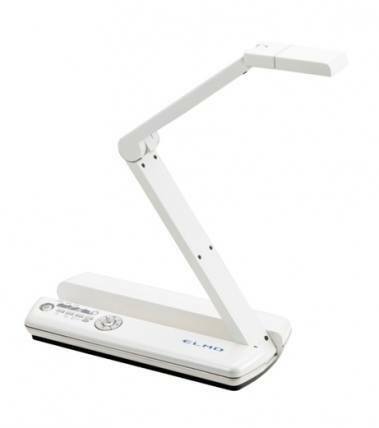 The learning curve for using the SCOPIA XT Telepresence Platform is virtually eliminated with the SCOPIA Control Multi-Touch™ application for the Apple iPad®. First time users can initiate calls, control their SCOPIA XT Telepresence systems and moderate meetings without any training or introduction. The SCOPIA XT Telepresence Platform enables the creation of an exceptional immersive experience at a breakthrough price point. The Telepresence Platform stands out amongst the competition delivering immersive collaboration capabilities for a fraction of what competitors charge. The new SCOPIA XT Meeting Center is powered by RADVISION’s flagship SCOPIA XT5000 state-of-the art video conferencing system – the only system available in the market that includes dual 1080p/60fps live video and content, HD audio, H.264 High Profile, Scalable Video Coding (SVC) and embedded multi-party calling. The XT Meeting Center integrates single or dual 55” 1080p premium displays in a specially designed cart for fast and easy turnkey implementation. The system is a natural fit for today’s businesses, not only for its ease of use, but also its modern design that complements any conference room. 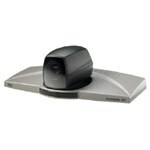 The SCOPIA XT Meeting Center is a high performance HD video conferencing solution powered by the SCOPIA XT5000. 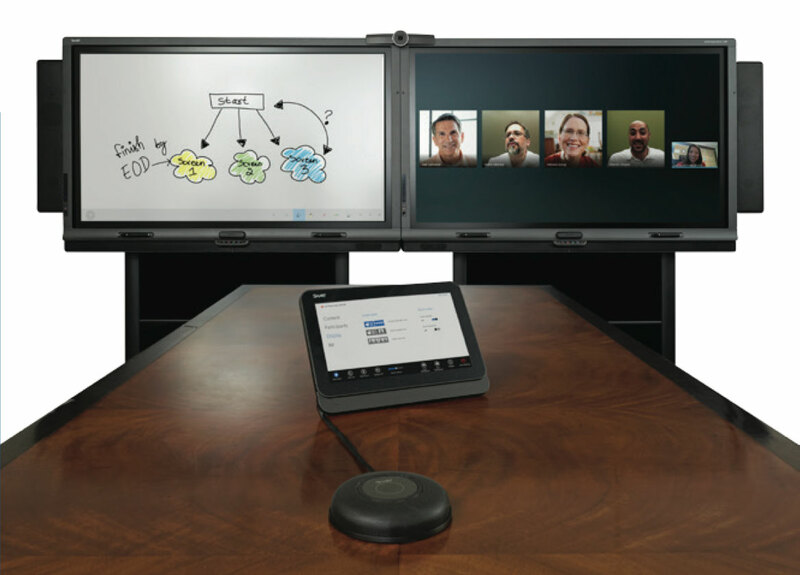 It integrates single or dual 55” 1080p premium displays in a specially designed, easy to maneuver cart for quickly creating a high quality meeting environment. 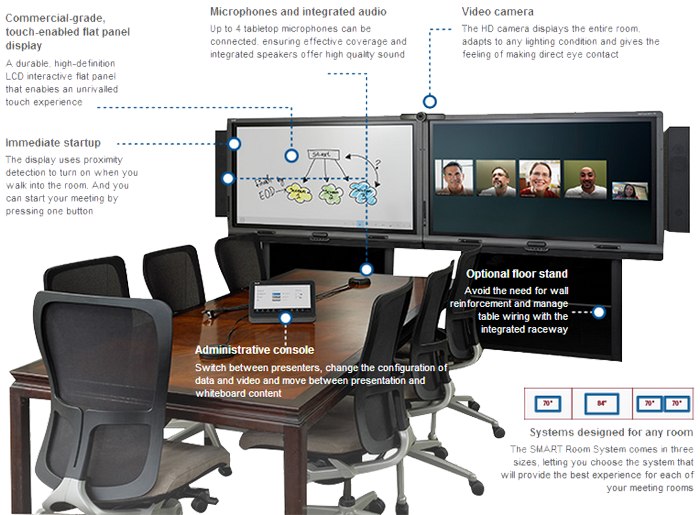 The XT Meeting Center includes all the components for a fast and easy turnkey implementation. The SCOPIA XT Meeting Center sets the standard for an exceptional conferencing experience. Unique simultaneous dual HD 1080p 60fps for live video and content and CD-quality, 20 kHz audio deliver outstanding quality. H.264 High Profile provides ultimate bandwidth efficiency and H.264 Scalable Video Coding (SVC) offers high network error resiliency for unequalled performance in real-world network conditions. The SCOPIA XT Meeting Center harnesses unparalleled power for the most demanding conferencing applications. Two full 1080p 60fps video channels, H.264 High Profile and SVC, an optional embedded 9-way MCU, and iPad Multi-Touch control – all combine to make the XT Meeting Center the most powerful system in its class. Designed with the end-user in mind, the SCOPIA XT Meeting Center’s user interface uses the same intuitive design as RADVISION’s award-winning SCOPIA Mobile application, enabling instant, intuitive and effective control – no training required. For an enhanced experience, the XT Meeting Center is enabled for Multi- Touch control via the Apple iPad. Refinement of the SCOPIA XT Meeting Center goes beyond the user experience to the sophisticated and elegant hardware design of the system. The system is a natural fit for today’s businesses, not only for its ease of use, but also its modern design that complements any conference room. Finally, a powerful business system combining form and functionality. 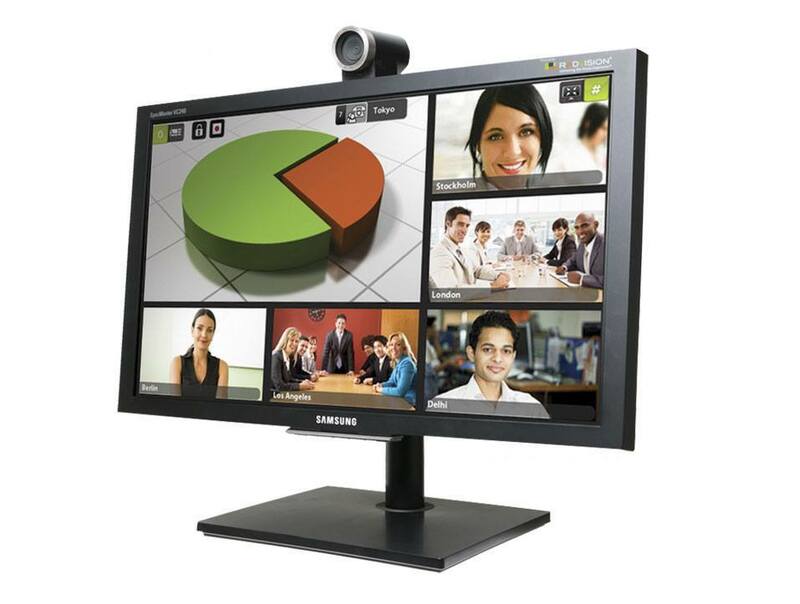 The SCOPIA VC240 high definition (HD) desktop video conferencing system integrates advanced video conferencing into a Samsung high resolution 24-inch LCD monitor. The system delivers to users all the benefits of HD video communications at a fraction of the cost of competing hardware solutions, dramatically increasing the ROI of a video conferencing deployment. 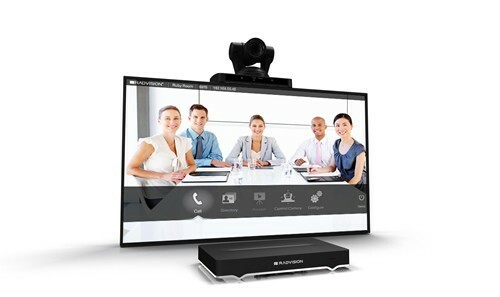 The SCOPIA VC240 can operate as a standalone desktop HD video conferencing device as well as a high resolution PC monitor. With RADVISION’s latest advanced video features including H.264 SVC (Scalable Video Coding), users enjoy the highest quality experience possible. The 24” Samsung widescreen LCD, high definition camera, high fidelity speakers, echo cancelling microphone, along with RADVISION’s advanced video conferencing engine provide an elegant All-In-One standalone HD desktop video conferencing system and PC display. Enjoy superior quality desktop video conferencing with full 720p, 30 fps performance with bandwidth as low as 750kbps, while supporting up to 2Mbps. Sharing PC data and presentations with other systems couldn’t be easier with the SCOPIA VC240’s integrated H.239 dual video capabilities. Making calls and connections is as easy to use as your mobile phone. Forget what you know about complicated user interfaces for sophisticated systems. Connecting with the SCOPIA VC240 is simple, fast and brilliantly designed. Get your last dialed calls, detailed history and phone book in an instant. Seamlessly integrated with RADVISION’s SCOPIA total solution, including the XT1000 with uncompromised 1080p for conference rooms, the SCOPIA Elite MCU offering multipoint power and scale, SCOPIA Desktop enabling HD conferencing on the go, SCOPIA Mobile for touch control and SCOPIA Management Suite for deploying and managing distributed deployments. For work environments ranging from medium and small meeting rooms to shared offices. 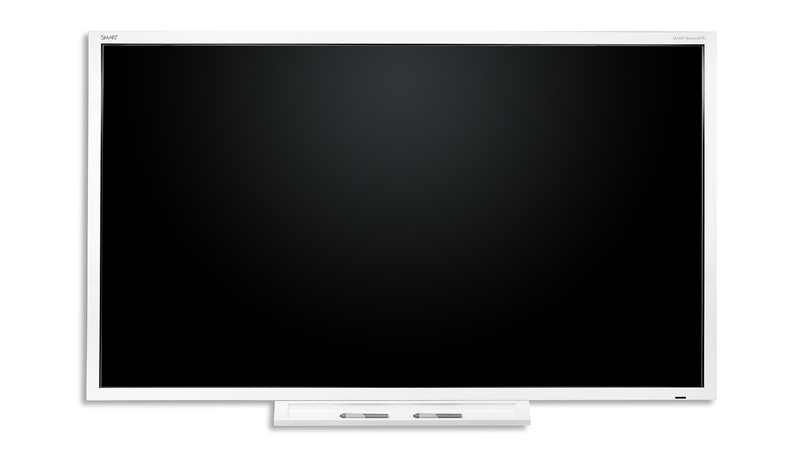 These portable, high performance set-top units conveniently transform any standard TV into an interactive meeting place. Includes a WAVE II Camera.